Did you know that anxiety disorders affect around 40 million people in the USA? If you have an anxiety disorder, you’re much more likely to have physical health problems and suffer from depression. Start healing now and order Melissa’s Book “Getting Past Anxiety” from Amazon. 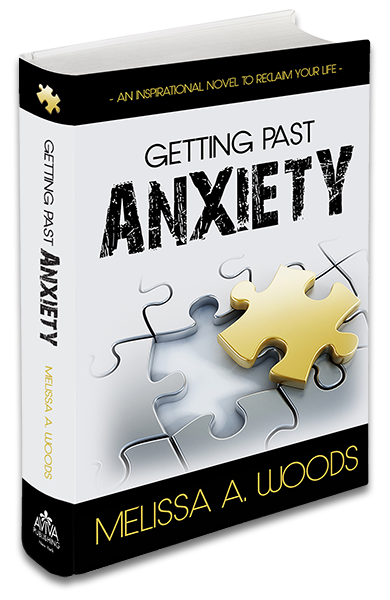 Getting Past Anxiety is an inspirational book designed to help you reclaim your life. Getting Past Anxiety serves as an inspiration for healing. In its pages, readers find a connection to their own stories of anxiety and to their authentic self. The novel traces the journey of Stella Maris, a thirty-seven-year-old professional woman in the Pacific Northwest who is fighting to escape anxiety. She breaks free by delving into and reexamining key life events, deeply committing to healing, and employing a variety of medical modalities that keep her free of anti-anxiety medications and drugs. Stella’s story is ultimately about how we choose the quality of our life. This book will inspire you to start your own healing process so you can break the shackles of your own anxiety and reclaim your life. Want to reclaim your life? Do you have questions how to get past your anxiety? Do you want to know what common but under-recognized symptoms of anxiety are? Melissa knows a lot about anxiety disorders and can answer any of your questions. Contact Melissa for interview requests and speaking engagement bookings.